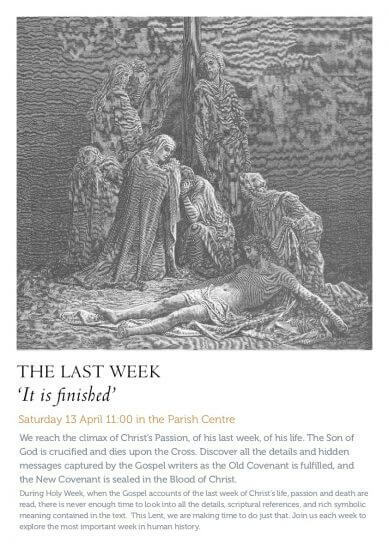 Passiontide — the last two weeks of Lent — is a Christian echo of the Jewish fourteen-day preparation for the Passover. Although short, it is a season in its own right, and older in its observance than Lent. We veil all the images to give the church a more sombre air, and because even the angels and saints hide their faces, as it were, from what is soon to take place. But we veil crucifixes also in reference to Our Lord’s response when the Pharisees’ tried to stone him: “And Jesus hid himself, and went out of the Temple,” (Jn 8:58). At the Incarnation, the Word of God veiled his Divinity; now, in his sufferings, he appears before us “marred... beyond human semblance,” (Is. 52:14). It is as if, in his Passion, he veils even his humanity. 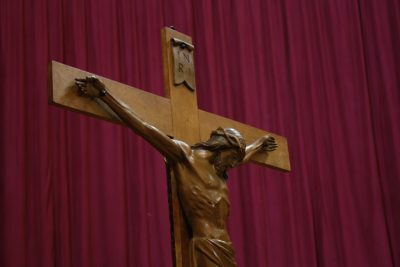 Moreover, just as on the Cross he “thirsts to be thirsted for,” sitit sitiri as St Gregory Nazianzen wrote, so we, too, begin to thirst for the sight of his holy countenance, being denied it for so long. 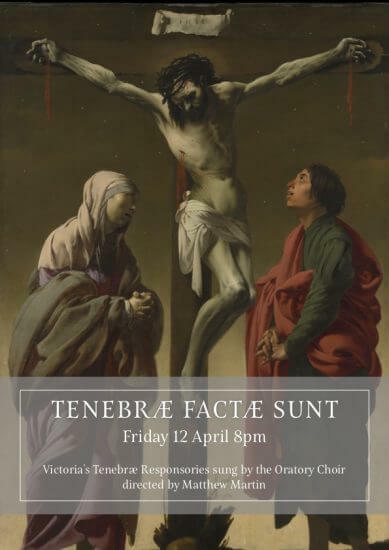 Victoria's Tenebrae Responsories sung by the Oratory Choir, directed by Matthew Martin, with readings for Passiontide.